Instagram has achieved astonishing popularity given its restricion to Android and iOS. At present, however, there is no true Mac equivalent to the easy styling found in Instagram. That’s not to say there aren’t plenty of fine “effects” apps available for OSX (see CameraBag 2 and FX Photo Studio Pro) – it’s just that none of them has the same speed and simplicity as the Facebook-owned mobile photo app. Well, when I say none…PhotoStyler from NeatBerry looks like it’s trying to be next best thing, but does it do the job? Well the quantity of preset styles in PhotoStyler is not an area of concern. 138 are available, and can be ordered by tags, such as Retro or Lomo; you can also add your own tags, essentially allowing you to create custom groups of styles for easy access. If you want instant styling, you can just choose one of the presets, and you’re ready for upload or saving – conveniently, PhotoStyler includes the ability to upload pictures straight to Flickr or Facebook. If you want more control, however, PhotoStyler allows you to tweak and tinker with the preset styles, or even create your own. The preset styles in PhotoStyler are actually combinations of “filters.” These are layers which add effects to your image; for example, the “Instant EK6” preset style consists of the polaroid-style frame and “Instant Photo” filter, the “Color of 70s” filter, which replicates the colour-warping which films of this era tended to exhibit, and the “Flare” filter. The result is a very believable film effect, and you can fine tune the look using the in-built filter adjustments, such as brightness and contrast. Making your own presets is essentially a process of adding filters. 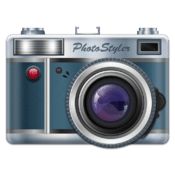 Again, PhotoStyler has a large selection, and most of these are, stylistically, highly usable. On initial inspection, PhotoStyler doesn’t look any different from the vast array of generic, under-delivering styling apps out there. Give it a try, though, and you’ll find a polished product, which has plenty of control if you dig into the options, but good ease of use if you’re in a hurry. At $29.99/£20.99, I’m not sure if I can recommend it over the likes of CameraBag 2 or FX Photo Studio Pro, but PhotoStyler should certainly be in your consideration. 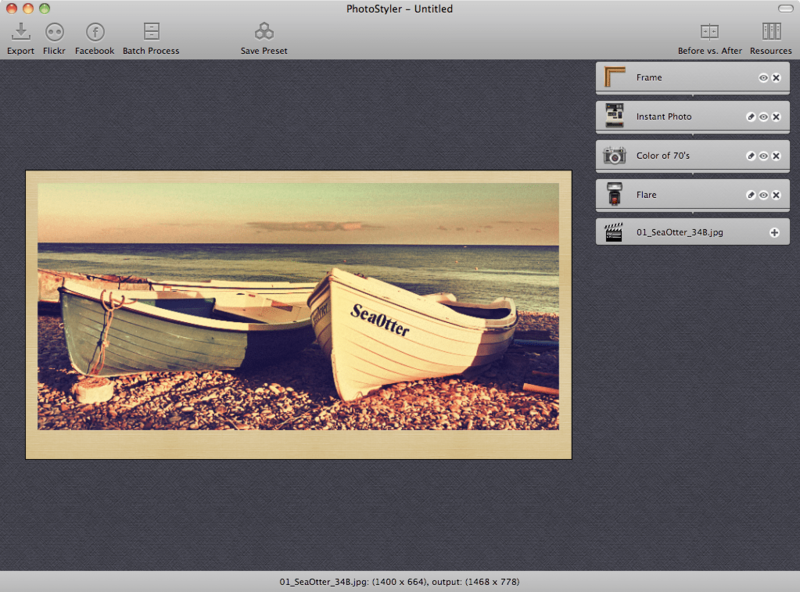 You can try or buy PhotoStyler from NeatBerry’s website, or purchase PhotoStyler from the Mac App Store. This post contains links to my affiliate partners. Purchasing products and services through these links helps support my efforts to bring you the quality information you love and there’s no additional cost to you.